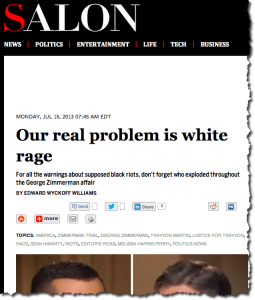 Edward Wyckoff Williams published an article today (7/15) on Salon.com entitled Our real problem is white rage — which has generated a lot of, well, rage. 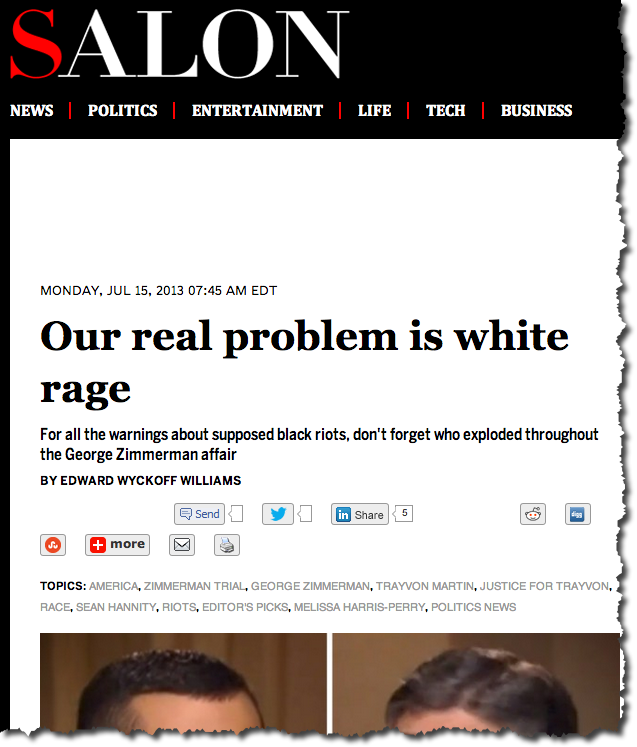 The article discusses the racial issues in the Zimmerman case and in the way people mistakenly anticipated rioting after the verdict’s announcement. Amazingly, the anger at his article has become a major topic on Twitter. By the end of the day, reaction had snowballed to over 20,000 angry and mocking tweets. The irony of that much rage denying rage is impressive. Very meta. I have a Tomcat server on the internet (www.socialresearchdesk.com) that runs a couple of applications of mine. Tomcat, for those who aren’t aware of it, is a very lightweight, popular application server for deploying Java-based web applications. It comes with a management application which has a set of standard (albeit disabled) accounts out of the box. Naturally, I don’t use them — I have random bits of gibberish for both the user id and password for the manager account. They don’t seem to try really hard, for what it’s worth — less than 3 minutes elapsed before they gave up. Maybe I’ve been assigned to the summer interns?